When the critters want to get away for a while they head to their Country Cozy Cottage! Cottage comes with 2 floors, with a movable ladder connecting them. 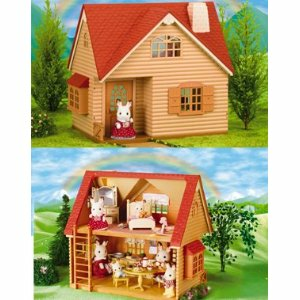 Bell Hopscotch Rabbit included, as well as bed with linens, table and chairs, and kitchen counter with sink and oven range.